Today is a bad day for me, I had to say goodbye to Lindsey. She had cancer really bad, an open tumor on her belly about the size of a small apple. It was hard for her to stand up, lay down and go down steeps. Lindsey was a bed buddy until she could not come up any more. The vet said "It's time". I hung in for over a year with Lindsey. She was getting worse. I felt like I could not make her comfortable, it hurts so much when they look to you for help and you can't help them. She was the mother of Am, Int, Ger Ch Barclay Lyca Oh! 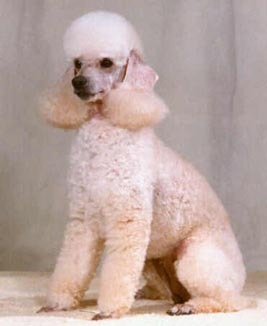 Henri and Am Ch Barclay Lyca Wild Connection, grandmother of the 4 mini champion girls, Rosy, Glitter, Shimmer ( in Finland) and Shelby. Grandmother of Henrietta (needs 1 major to finish). Grandmother to multi International, Finish Champions. Lindsey was one in a million. She was a Am Ch Lyca Dime Store Novel granddaughter on both sides. She will be missed.